One of our strongest areas of expertise is building minimum viable products. We can take your idea and work together with you to launch a well formed and perfectly functional application in just few months time. ✓ Design websites and application (web apps, iOS etc). ✓ Language Agnostic Software Development (we prefer Ruby on Rails but are fluent with PHP, Java, Objective-C and other languages). ✓ Elegant, standards-compliant front end development (HTML5/XHTML/CSS + HAML/SCSS). ✓ Executing effective e-mail marketing campaigns that deliver excellent results. ✓ Our small but extremely versatile team brings you the magic for reasonable cost. ✓ We think that clear and timely communication goes a long way. Best partner (or client) is a well informed one. ✓ When we agree to work with you, we will be as dedicated as your in-house team would be. Our passion is to help you to bring your vision to a living product. Think about it and get in touch with us. You know that you deserve to work with the best! 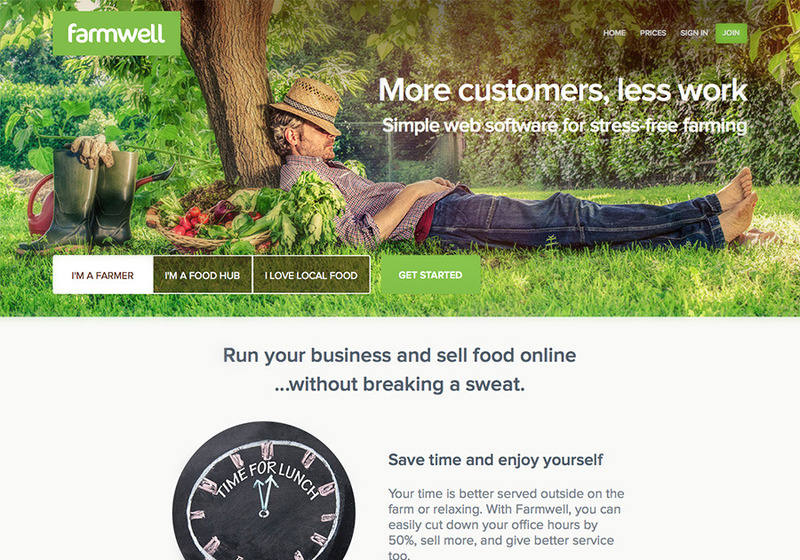 Farmwell (www.farmwell.com) brings together farmers who grow organic food with buyers who value it the most. Grow well. Eat well. Live well.